That idea about remodeling your home is still in the back of your mind, but you just don’t know where to start. When remodeling any interior room in your home, you always want to stretch that dollar as far as you can. Here are five remodels you can do to your home that won’t break the bank. These affordable changes are sure to get you a fair return while putting a smile on your face when you’re done. Most families find themselves living in their kitchens. It makes sense, therefore, to refresh your kitchen with this simple makeover. The kitchen is the heart of your home. 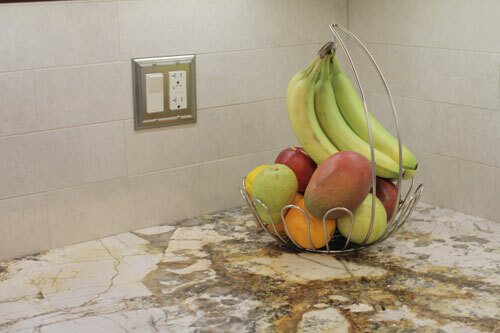 If you add the beauty of natural granite stone with the personalized touch of a new kitchen backsplash, your home will sparkle with new life. Update your kitchen cabinets with some new handles and knobs to bring the rest of your kitchen into the 21st Century. 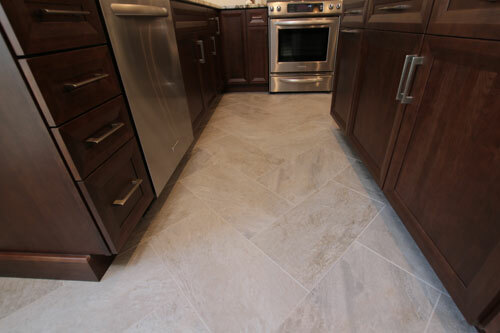 Tiling your kitchen floor can add a wonderful new look to a dated kitchen. With new porcelain tile options that are more unique than natural stones, you are sure to find a stunning color, design or texture to update the look of the room. For example, tile made to look like hardwood combines traditional style with modern sensibilities. While you’re at it...Upgrading the floor with a warmup system will also keep everyone’s feet happy during the cold winter months. 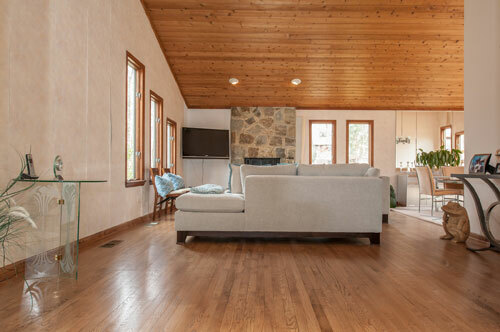 After living in your home for a few decades or even a few years, your hardwood floors are not what they used to be. But you may not need to replace the floor. Refinishing the existing hardwood floors can do the trick and bring back the luster and beauty they once had. Although, be mindful, your home is not a factory-controlled area, so minor imperfections are expected and are the norm. But with dustless machinery, you will find less dust and a quicker clean up from your service provider. Most contractors and or companies will offer an outdated approach to this service. Note: Removal of old pet stains is not always guaranteed as pet stains are absorbed by the wood and are not always easily removable. Re-tiling your bathroom tub surround can add value to your home with only a minor pinch to your pocket. Everyone uses the hall bath, so why not give it a boost? Even the kids will appreciate the fresh look. This mild makeover and remodel can be done rather quickly and give you a clean, new, modern look or a personalized touch for the kids. Getting the kids involved with the tile selection may be fun. Tile Center offers specialty tile decos from Villeroy & Boch with a child’s imagination in mind. (We also have a children’s area in our showroom if you decide to not have the kids involved in your decision making.) From fun, glossy colors, or specialty themed designs, the choices are abundant. After a beautiful re-tiling of the tub area, you need to show it off. Take down that plastic shower curtain and impress your house guests with your updated bath. Installing clear sliding glass doors adds the final touch while giving you a stylish enhancement. Does this sound familiar? Every morning you step into your 1960s pink, yellow or blue-tiled shower and think, “My day won’t get better until after my morning coffee.” Why not start off every morning with an invigorating new shower and feel ready to tackle each day? 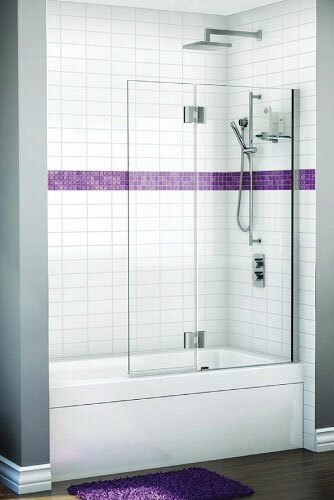 A beautiful, new, tiled shower makes every day a spa day and gives your morning the boost you deserve. 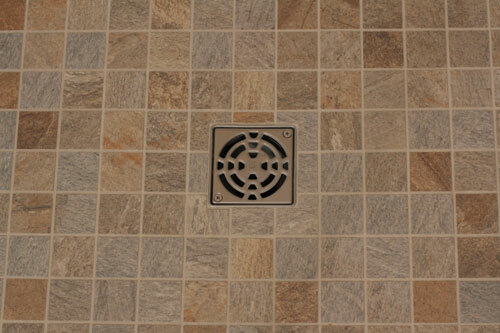 Add Bostik QuartzLock2® Urethane based grout, and you’ll never have to see dirty grout lines again. To gut or not to gut, that is the question. If you can’t pull the trigger on a complete remodel or you just can’t justify the cost, a mild makeover might be your best bet.